Product prices and availability are accurate as of 2019-04-14 10:47:20 EDT and are subject to change. Any price and availability information displayed on http://www.amazon.com/ at the time of purchase will apply to the purchase of this product. 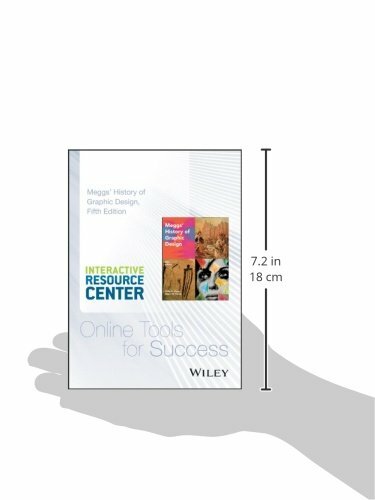 NOTE: This ISBN Includes Access card and not the Print Book The Interactive Resource Center is an online learning environment where instructors and students can access the tools they need to make efficient use of their time, while reinforcing and assessing their understanding of key concepts for successful understanding of the course. 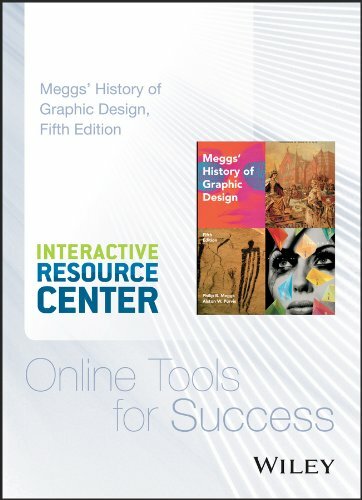 The online Interactive Resource Center contains resources tied to the book, such as: Interactive Resources: • Flashcards featuring images from book for image identification self-study • Self-test assessment by chapter • Image Gallery featuring key designers and their work Downloadable Resources: • Indices of key terms and people ***Winner of the First-Ever QED (Quality, Excellence, Design) award by Digital Book World** With more than 1,400 high-quality images throughout—many new or newly updated—Meggs' History of Graphic Design, Fifth Edition provides a wealth of visual markers for inspiration and emulation. For professionals, students, and everyone who works with or loves the world of graphic design, this landmark text will quickly become an invaluable guide that they will turn to again and again.